Ballina Manor Boutique Hotel is a unique getaway in the heart of Ballina. Just a 2 minutes drive from the Ballina Airport. BMR on Norton is a fine dining restaurant situated within the property. Cozy up by a warm fire and enjoy a glass of wine. 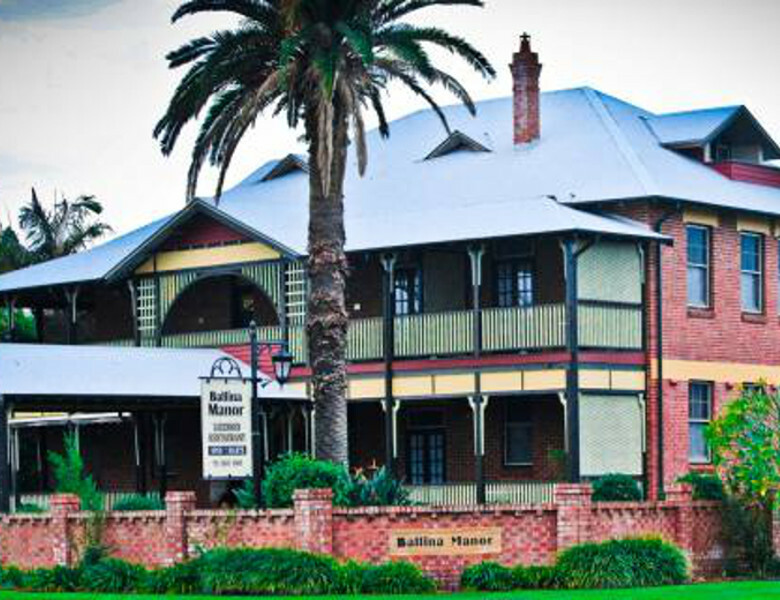 Ballina Manor Boutique Hotel - 25 Norton Street. From River Street (the main street), turn left into Norton Street, located directly opposite the Tourist Information Centre and Ballina Swimming Pool. Just 2 minutes drive from Ballina airport. The BMR or Norton restaurant is open for breakfast and dinner 7-days a week. A minimum of 48 hours notice is required by this property for cancellations. Cancellations made within 48 hours of check in time forfeit the full amount for the first night cancelled.